Wayne chose Kamloops for a number of key reasons. The geographical location is ideal for a logging equipment manufacturing business thanks to the BC timber industry. Kamloops is a central shipping location to the north, south and eastern Canada. Also, Kamloops offers the right blend of work and play to raise a family and have a good career. 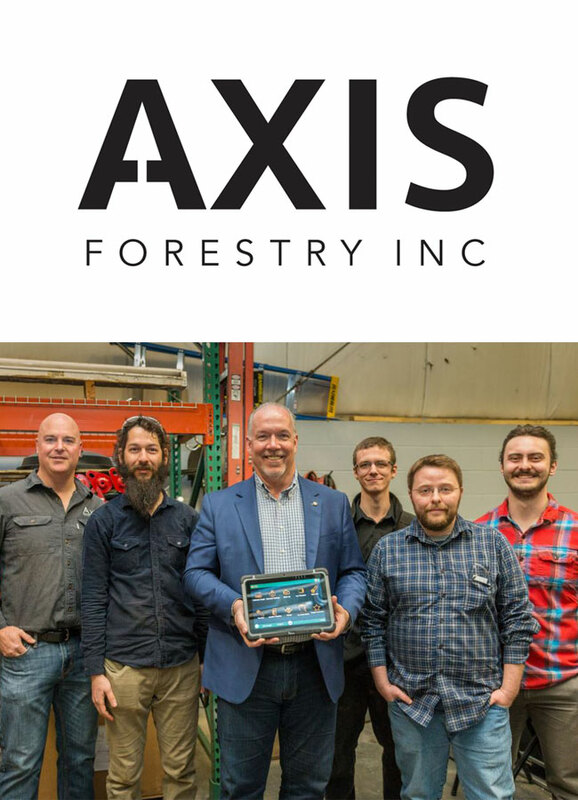 Fully invented in Kamloops, Axis has developed a new computerized control system that allows a machine operator to function forestry equipment with intuitive software and hardware. The product will be launched in the spring of 2018 and Axis will spinoff its tech division into a new start up company called Cypress Robotics Corp. Cypress will be responsible for supplying the worldwide market with computer systems for new and existing forestry equipment.